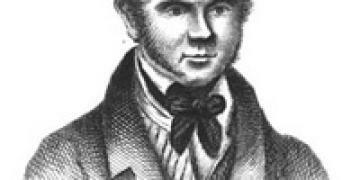 William Burke and William Hare were probably the most notorious multiple murderers in 19th century Scotland. William Burke and William Hare were probably the most notorious multiple murderers in 19th century Scotland; their trial, for providing fresh corpses for the rapidly developing medical & surgical profession, sparked huge public interest, and the hanging of William Burke drew one of the largest spectator crowds ever assembled in Edinburgh up to that time. Their crimes were also directly responsible for changing the law that governed the availability and supply of cadavers for the medical profession. The study of anatomy at Edinburgh medical schools had become extremely popular during the course of the 18th century, and the scarcity of available cadavers for study was driven principally by existing law, that stated that each medical school was allowed one cadaver, of an executed criminal, per year. The popularity of Anatomy studies increased hugely by the end of the 18th century, and the pressure of satisfying a growing body of paying students, with a single cadaver, was considerable. In practice, it meant that surgeons turned a blind eye to the origins of any additional cadavers that came their way, and paid generously for their provision. Body snatching became prevalent as a result, and the snatchers became known as “Resurrectionists”: cemeteries were forced to increase security by building walls and watchtowers, manned by guards. William Burke was born in the Irish town of Orrey, in County Tyrone, around 1792, into a poor Roman Catholic family. He lived at home until the age of 18, working as a weaver, before leaving to become a manservant to a local gentleman. When the gentleman died a year later, he joined the Donegal Militia, where he remained for five years, and he also married during that time. His wife, from County Mayo, bore two children, one of whom died in infancy. Following an undisclosed marital dispute, Burke left his wife in 1818, travelling alone to Scotland to find work on the Grand Union Canal, settling in the town of Maddiston. There he met a prostitute named Helen McDougal, and they lived as common-law man and wife, as both were already married. When the canal work ended, they moved to Edinburgh, where Burke had a number of jobs, including cobbler and second-hand clothing hawker. William Hare was another Irishman, born in Newry, who also emigrated to Scotland to work on the Grand Union Canal, although he and Burke did not meet until later, when both were living in Edinburgh. By all accounts Hare was the more ruthless of the two, willing to do anything to get ahead. He settled in the West Port area of Edinburgh, where he found lodgings in a filthy house run by Margaret Logue and her husband. Hare began an affair with the woman, but was soon discovered and thrown out by her husband. However, when the husband died shortly thereafter, Hare moved back in swiftly, and the two ran the establishment as husband and wife. Contemporary accounts describe it as an “abode of profligacy, vice and drunkenness”, and it was here that Burke and Hare first met, in the autumn of 1827, swiftly becoming regular houseguests.